Note: Zip code used to search available offers. Price and availability may vary based on your exact address/location. Or, call and order now! 140+ channels including ESPN and access to On Demand & Music Choice and Free HD! 170+ channels including ESPN and access to On Demand & Music Choice and Free HD! 250+ channels including ESPN and access to On Demand & Music Choice and Free HD! Featuring an innovative on-screen guide, Smart Search, the new Voice Remote, and 1,000 hours of DVR storage and much more. Get Security Suite at no extra charge so you can browse with confidence. Cox Home Techs are your neighbors. Should you ever need us, we're in the neighborhood to take care of our friends. Get door, window and motion sensors, and carbon monoxide, smoke and water detection backed by 24/7 professional monitoring. 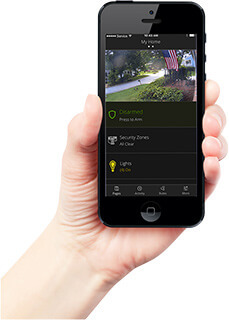 Check in on pets or see what’s happening at home via indoor/outdoor cameras. Turn your lights and small appliances off and on, adjust your thermostat and control smart door locks remotely. Restrictions may apply. © 2019 Cox Communications Inc. All rights reserved.